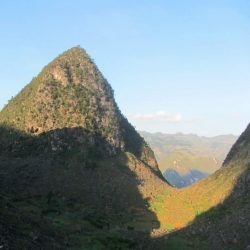 The extreme northwest of Vietnam – the big mountainous bulge west of Highway QL12, around the Black River basin – is probably the most remote region of the entire country. 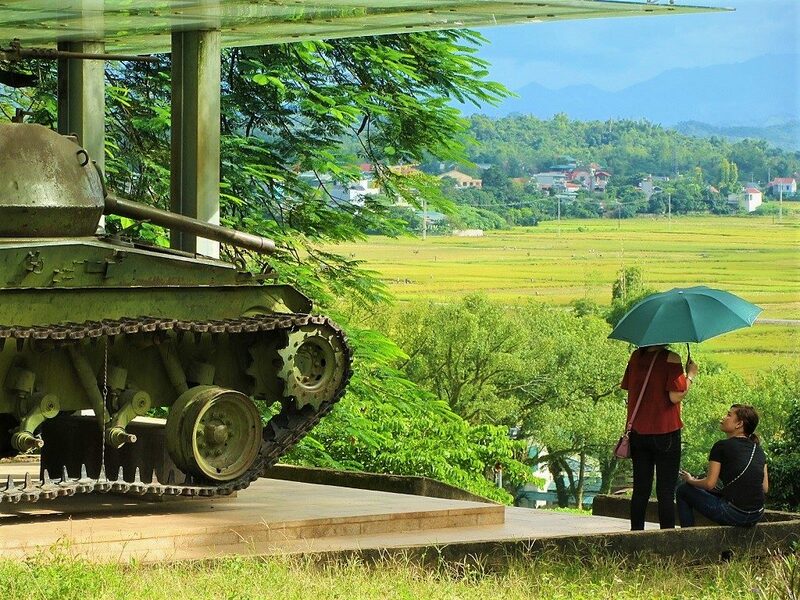 Straddling the border of Dien Bien and Lai Chau provinces, it’s certainly one of the least-travelled areas in Vietnam. The extreme northwest abuts both China and Laos, thus this route travels through extensive borderlands, which are often very sensitive. Indeed, this region is perilously close to the infamous Golden Triangle. As such, local police and government officials may hinder your progress. 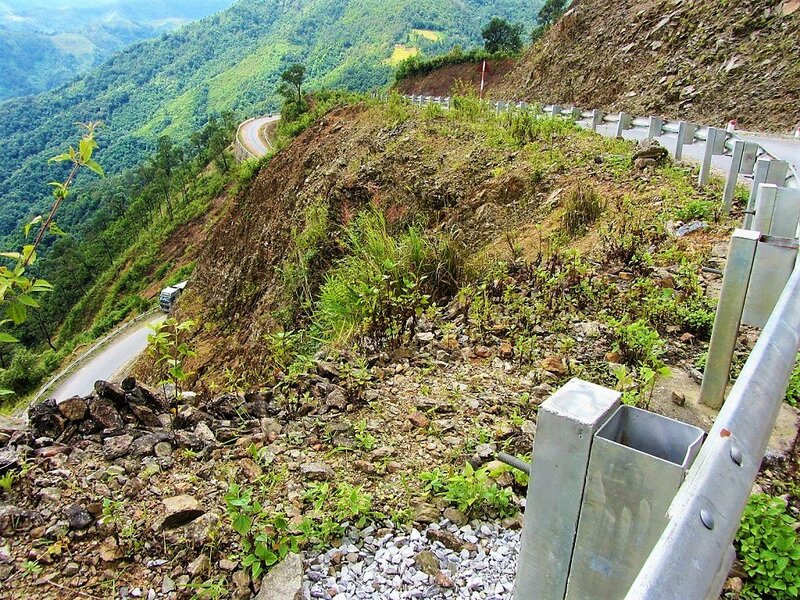 However, old roads have recently been upgraded, and new ones have been blown through the mountains, creating an extremely mountains, off-the-beaten-track, and circuitous route between Lao Cai and Dien Bien Phu. The roads lead further, higher, and deeper into the northwest mountains than ever before, threading between peaks pushing 10,000ft, which are the southeastern-most extent of the same geological collision that formed the Himalayas. It’s also possible to turn this route into a loop. *IMPORTANT: Parts of this route travel through sensitive areas: please read the following paragraphs carefully before setting out on this road trip. 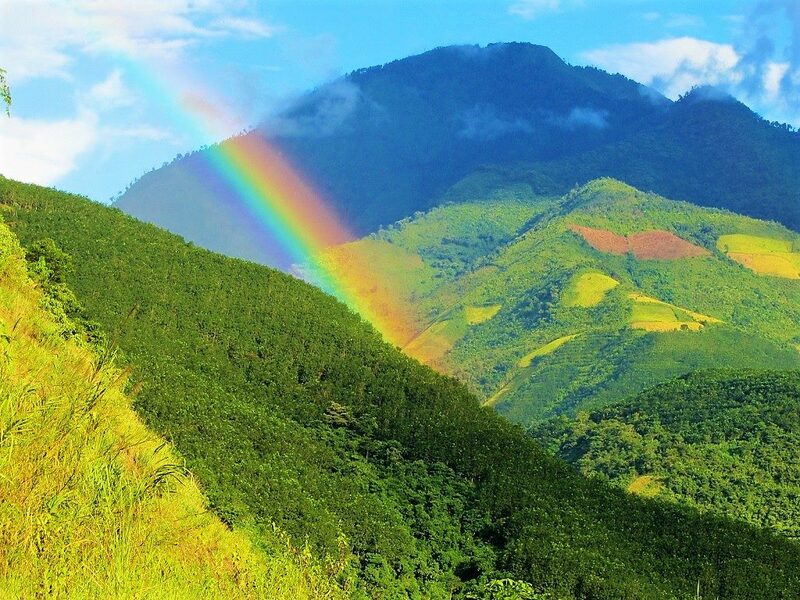 The main route in this guide is all about exploring remote roads and regions: it’s by no means the most direct route between Lao Cai and Dien Bien Phu, and sometimes it requires back-tracking. But the rewards are big scenery and virtually no other travellers. The total distance between Lao Cai and Dien Bien Phu via the main route (the blue line on my map) is 800-900km. However, you can also turn this into a loop by returning via road QL6 and Sin Ho (the green line on my map: 400km), or the most direct route via QL12 and QL4D (the red line on my map: 310km). 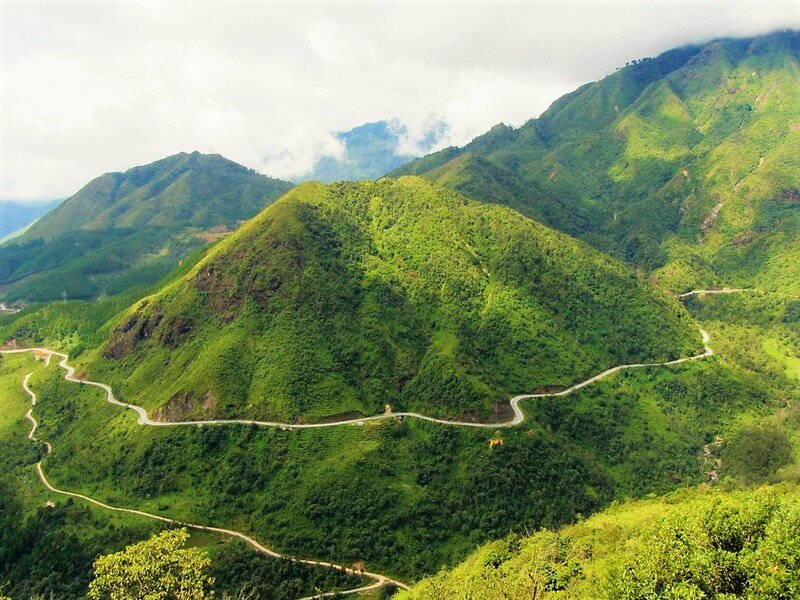 Using any of these routes, the one-way or return journey between Lao Cai and Dien Bien Phu can take anything between 2-7 days, depending on road conditions and weather. Despite its remoteness, the roads are generally in reasonable condition and there’s accommodation (usually in the form of local guest houses, called nhà nghỉ) at all of the towns and villages marked with a red pin on my map. 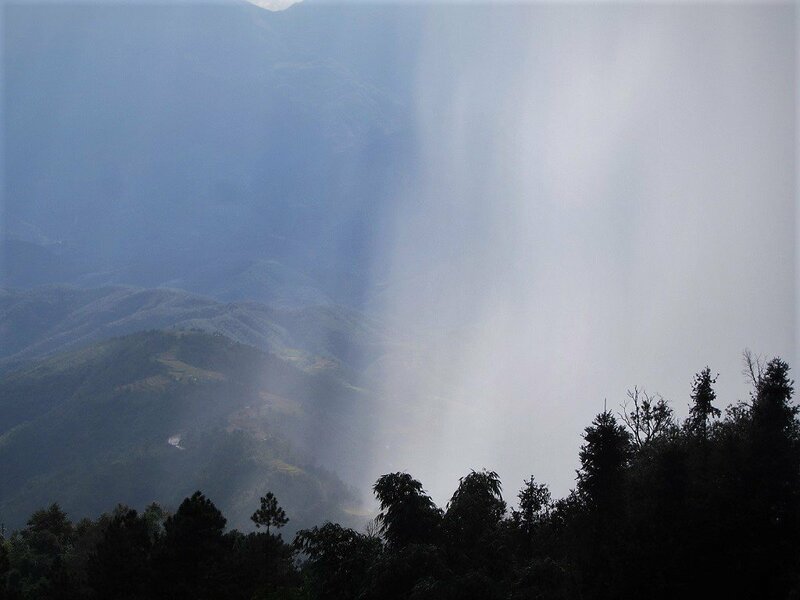 However, as the roads are so mountainous, they are highly susceptible to landslides, especially after heavy rains, which can render them impassable for hours or sometimes days. In my experience, weather is best from March-May and September-October. You need a lot of time, patience and flexibility for this route, because if the landslides don’t stop you at some point, the local authorities will. The border regions are very sensitive to the Vietnamese government and army. In particular, if you ride the roads between Muong Te, Muong Nhe and A Pa Chai (marked with a black line on my map), you should ask permission at the local government/police offices first; or head out and hope for the best, but you do so at your own risk. If stopped you will most likely not suffer anything worse than a fine, but there’s always the possibility of something more serious, such as your bike being impounded or even visa issues. In general, I found the authorities on this route to be polite and accommodating. But remember, you are a guest in another country. As mentioned before, bear in mind that this is an extremely rugged, remote, sparsely populated, and politically sensitive part of the country, so take your time and take it easy. Roads can be dangerous, not because of traffic, but because of landslides, potholes, and inclement weather. 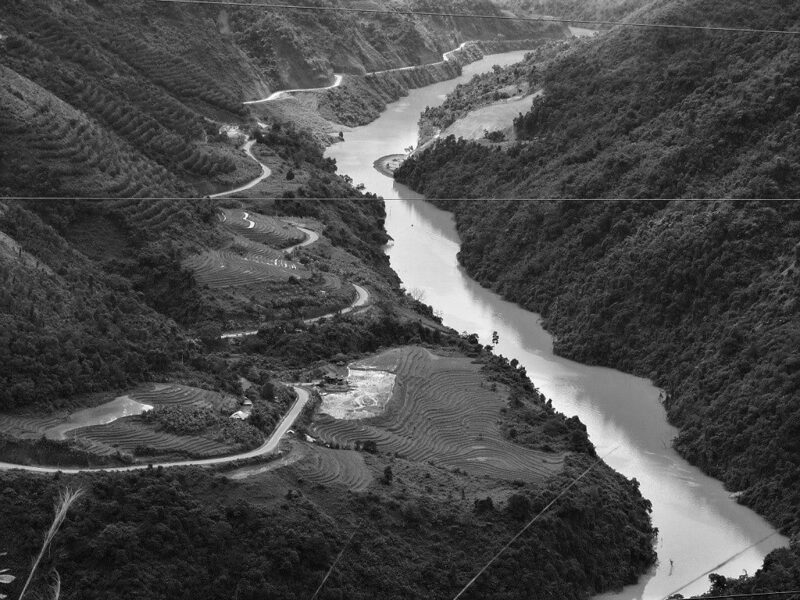 Much of the Black River valley has been flooded for hydroelectricity projects, and this has shifted road routes away from their original course along the river banks: in some cases, Google has yet to update its maps, so there are some discrepancies between the roads as they appear on the map and their actual route. However, the general route is still the same, just several kilometres further away from the river banks, and it shouldn’t be too difficult to navigate. There’s at least one local guest house (nhà nghỉ in Vietnamese) or hotel in each of the places marked with a red pin on my map. Gas stations aren’t frequent, but can been found in most of the villages and towns on this route. *WARNING: Police and army personnel patrol much of the border territory on this route. 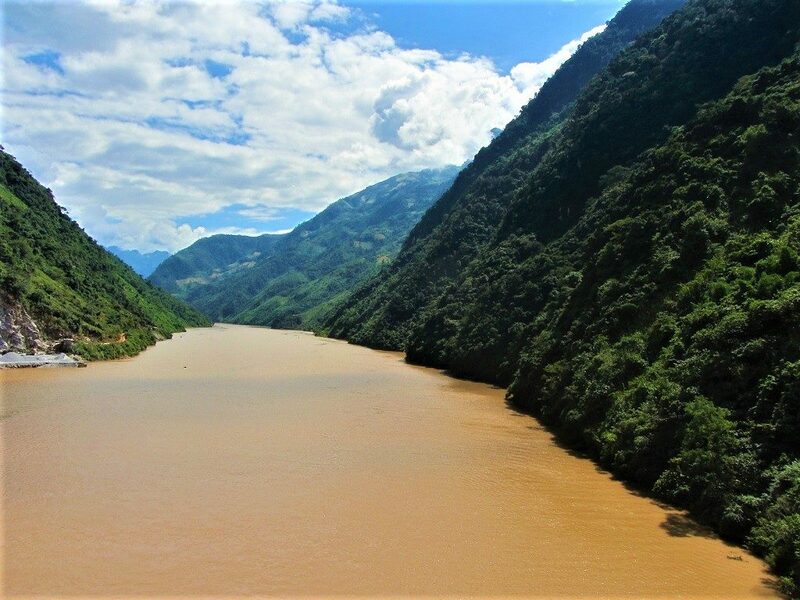 When it comes to the authorities, the biggest challenge is the road near the Chinese border, which links Muong Te with Muong Nhe, with a side route to A Pa Chai, the point where Vietnam, Laos, and China meet. In fact, parts of this road are so sensitive that it doesn’t appear on most maps (I’ve tried my best to draw it on my map in black). 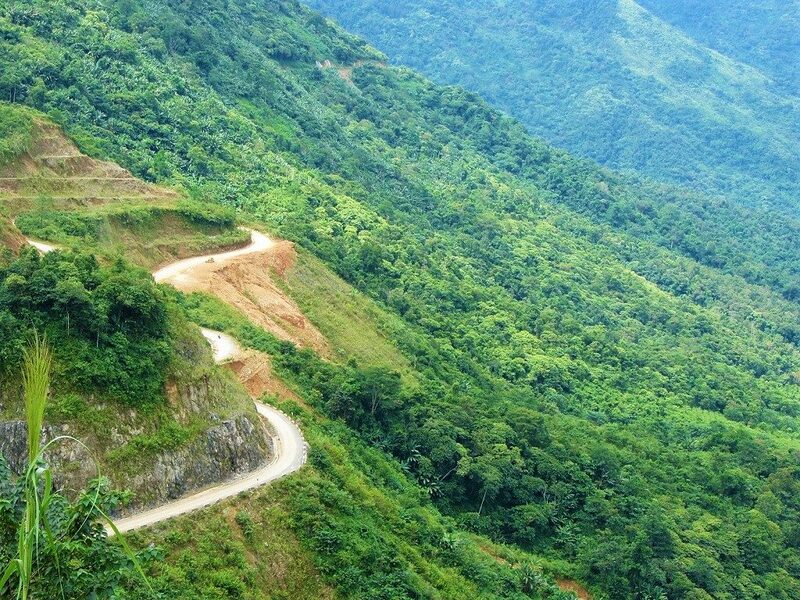 If you choose to take this road, it’s highly advisable to seek permission in Muong Te or Muong Nhe before attempting to do so. 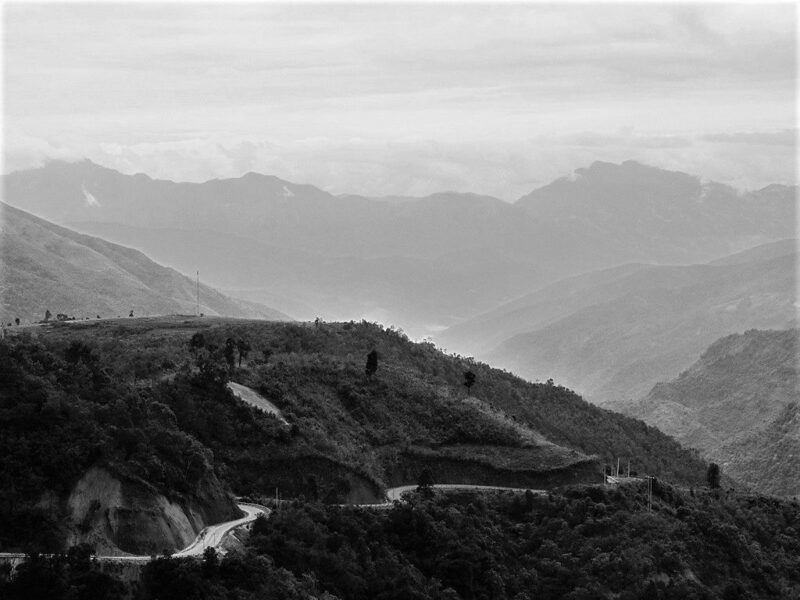 The following images are all taken along the Extreme Northwest Loop between Lao Cai and Dien Bien Phu, via the three routes outlined on my map. Read the captions below each image to find out exactly where they were taken. 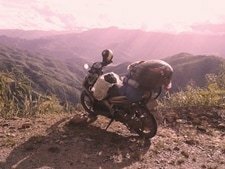 This entry was posted in ALL, MOTORBIKE GUIDES, Mountains, The North and tagged A Pa Chai, Dien Bien Phu, guide, lai chau, motorbike, Moung Nhe, Muong Lay, Muong Te, sapa. Bookmark the permalink. I don’t have a recent road report for QL6. But it is common for it to have rough patches. If it’s been raining recently then it’s likely to be worse. However, if you have riding experience and a bike that can handle the rough sections of road, you might be fine. If you don’t, then it could be a problem, in which case you you can take QL12 instead – there’s also a rough section of road on that route, about halfway to Muong Lay, but it shouldn’t be a problem. Good luck and please report back about road conditions. 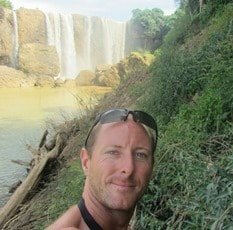 Thanks so much Tom for this site, it’s really a treasure when you are first time traveling on a motorbike in Vietnam. What a work you did here! Actually that’s why I write this comment now. I never do usually. I wanted to try to go from Muong Te to Muong Nhe by the black route. From the beginning (outside of Muong Te) a viet guy on a motorbike waited for me and then clearly followed me. After what I read here on this sensitive area I was a little bit paranoiac. I let him go. Then I saw him waiting for me at a bridge on the black river. I stop to understand his behavior. 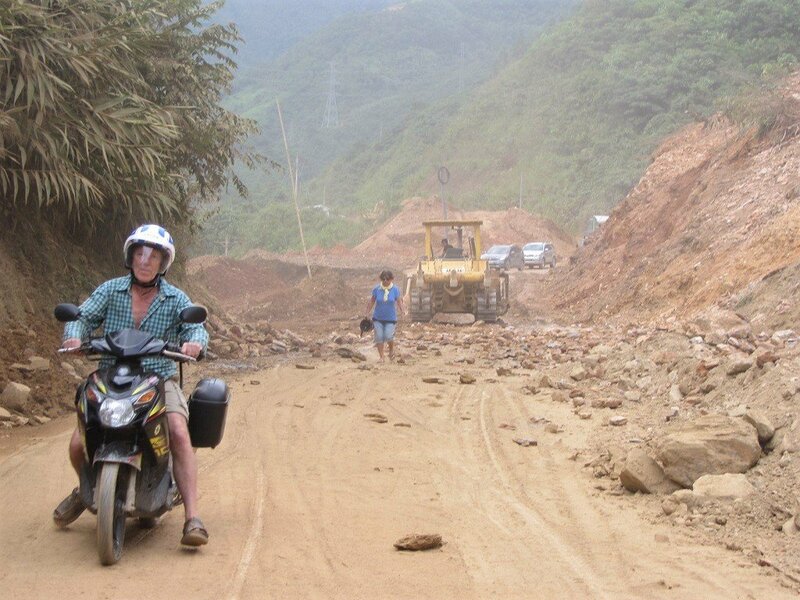 He told me that he is going to Muong Nhe and that this road is a short cut. So I thought I could follow him and avoid the problems that you described taking the black route. I checked on google map and realized that this « short cut » route exists. 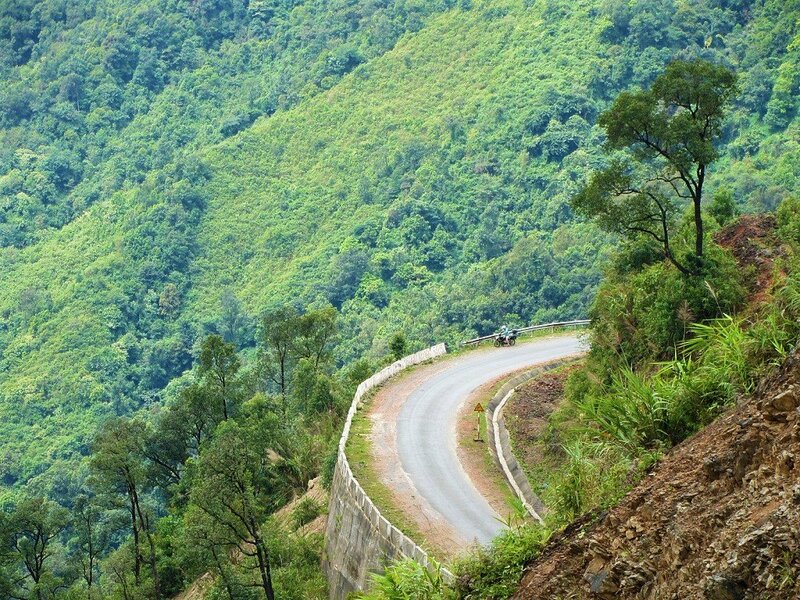 Wonderful road until you arrive 25km far from Muong Nhe. The road then stops completely. But the guy told me to keep on. I tried and found out a narrow pedestrian trail on these high mountains with a deadly steep side. This trail was really really dangerous and I almost felt at a place that I would die. Later I felt twice because I was exhausted, fortunately on less steep parts of the trail. I write this comment to warn readers that the toae that google map gives from Muong Te to Muong Nhe is only paved on the first 80km but then is just a deadly trail. Don’t try to take it. Then in Muong Nhe, same story as you described it, police came at 10 pm in my room. Very nice people. They even came back at 8 am in the morning to be sure that I will take the Dien Bien phu direction. They even offered me a coffee. This happened end of February 2019. Thanks for sharing your experience of the route. That’s very interesting about the road, and valuable information about the last 20km being very dangerous. Thank you Tom for the great guide. We did Lao Cai-Sin Ho-Muong Te-Lai Chau city-Y Ty-Lao Cai just before Tet. I think in the whole 6 days, we saw twice a foreign couple and a lone guy on our entire way. It’s great to travel when it’s not packed with tourists/travellers! We also stayed at the guest house by Sin Ho market. The old lady offered us the room at 250k vnd, explaining that because I’m Vietnamese and she’d charge foreigners 300k. That put me off a little, but otherwise lovely couple. In Muong Te, we stayed at Ngoc Thanh hotel. Others should avoid this one as the room smelled from mold in every corner. (As you already know, mold seems common in almost all low and medium range accommodation). In Y Ty, we were the only guests at Thao Nguyen Xanh homestay! A slight difference from your route. Between Sin Ho and Muong Te, we by chance took a small side road (in Le Loi commune, Muong Lay district), which led us to beautiful small, clean road (where we can still look down to the Black River at times) and very organized Thai hamlets. (When we hit the national road after leaving Sin Ho, we took the right road that is in parallel to the national road instead). I’ve been to many ethnic minority villages in the north and was very surprised to find such nice and clean villages! We were super lucky with the weather, sunny and mild most of the time. 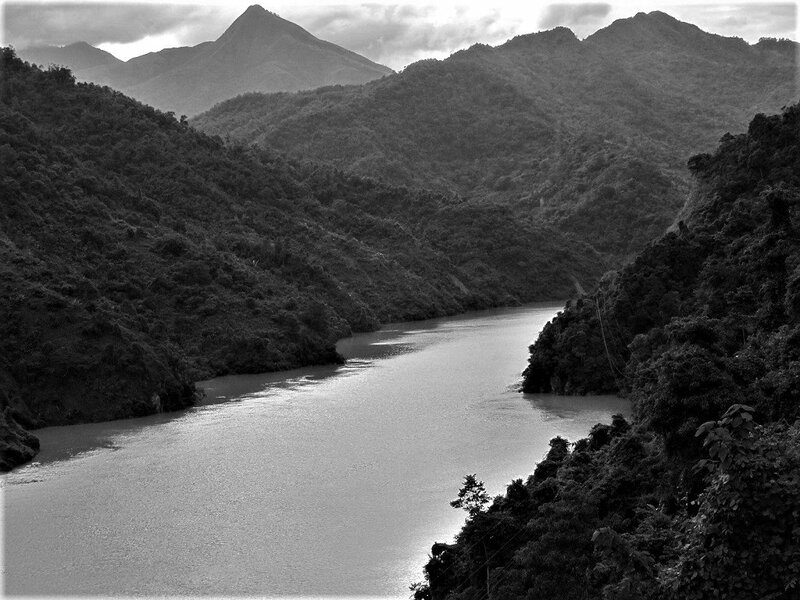 We could see the Fansipan peak clearly, as you mentioned. But after scooting through Ha Giang a couple of time, I must say I was still super impressed with Lai Chau. I’d recommend everyone to make their way to this less-travelled province for once! * correction: we couldn’t see the Fansipan peak clearly. Thanks for sharing your experience on that route – sounds like you had a great road trip. The side route to the Thai villages sounds particularly interesting. Really a great and very inspiring guide! Me and my wife are looking forward to do our trip to Vietnam this September. I read that this would be a good time for the loop, as well. Regarding weather conditions for example. Unfortunately we have no motorbike license. We do have car license and this (in germany) allows us to drive a scooter with 50ccm engine. Do you think it is possible to do a 3 day tour on 50ccm scooters? One for me and one for my wife. I already have motorbike experience but my wife doesn’t. I’m a bit worried because of the power these little scooters deliver. Is it perhaps to steep so the scooters are to weak? And if course I’m worried if the tour is hard to drive without motorbike experience. I don’t want to put her in danger. I have read that there are now controlling police men and they stop you right at the beginning of then tour. So, only possibility (if going on two 50ccm scooters is not recommended or it is to dangerous) would be, that I make my motorbike driving license and than I could legally rent a XR150. I haven’t read anything about doing the loop by car. This is not an option, is it? I hope you can give us some advice. 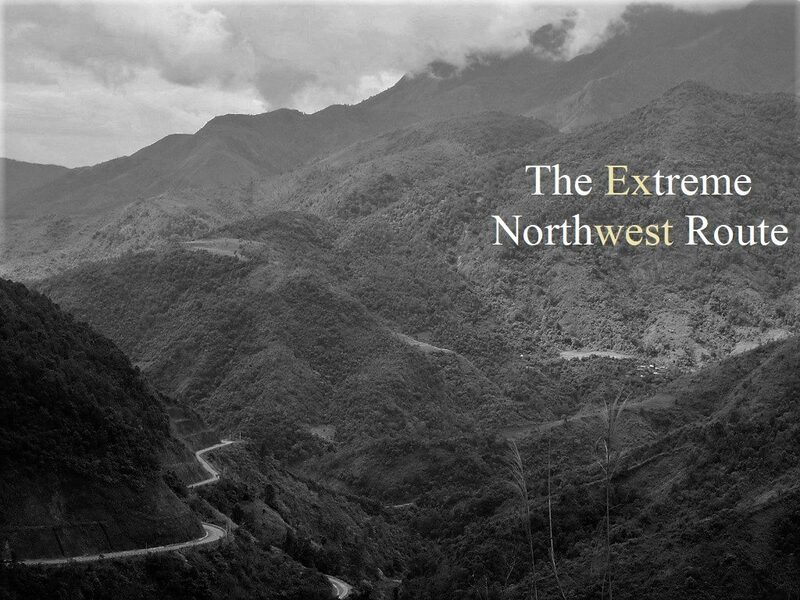 I think the route you are thinking about is probably the Ha Giang Extreme North Loop (not the Extreme Northwest Loop on this page). If that is correct, then yes you are right that the traffic police are now quite strict about licenses on that route. Unless you have a valid international license for motorbikes or a local one, then you will almost certainly be stopped by the police. 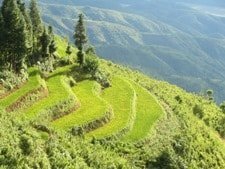 Personally, I don’t think it’s a good idea to ride the Ha Giang Loop on a 50cc bike – the roads are too steep and mountainous. Therefore, I recommend you get the motorbike license from Germany and rent at XR150 for the ride – this would be perfect. 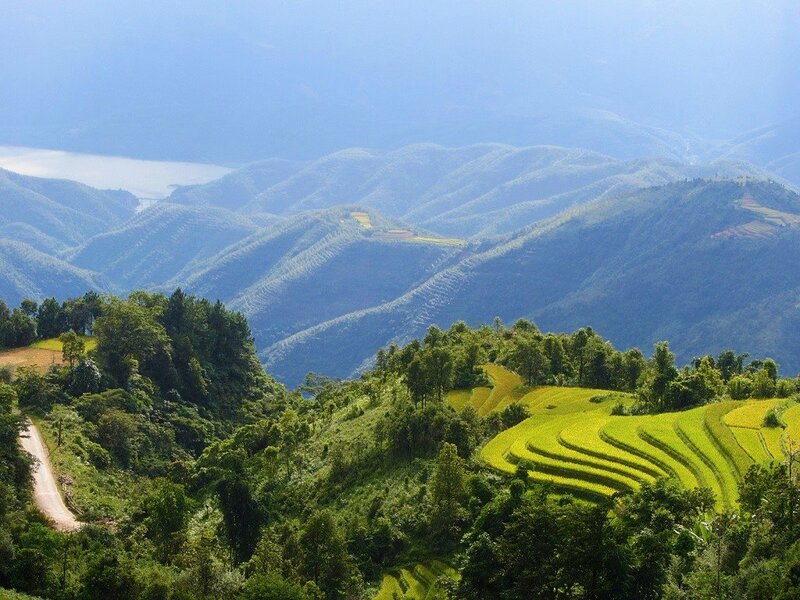 For bike rental in Ha Giang I recommend QT Motorbikes – they can probably also give you some more information about licenses, too. Yes you were right. The loop was what I mentioned. Is there another tour of 2 or 3 days that is possible to do on 50ccm. One for each person of course. Many many thanks! Great site and so many information. Well, not really – very few people ride 50cc bikes here, because they’re just not powerful enough. You could potentially ride them along some of the flatter coastal routes, but not in the mountains. 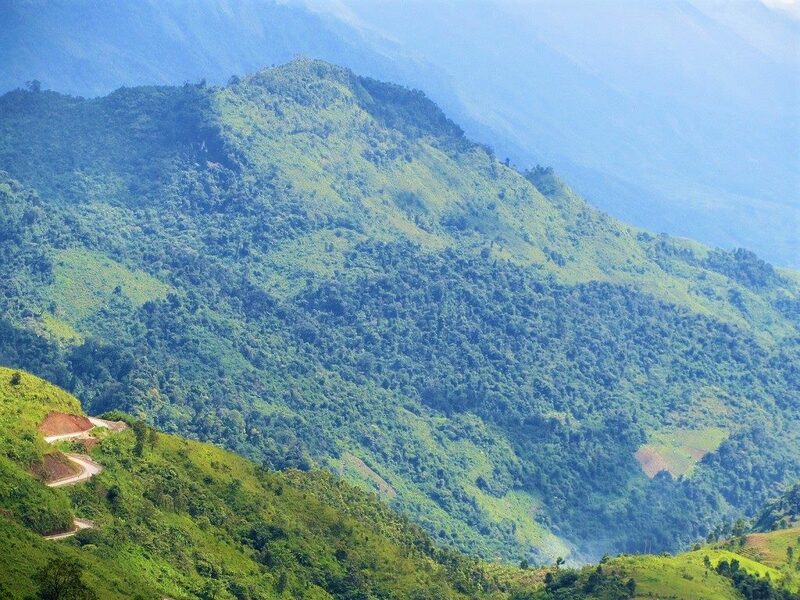 1) Muong Te is a sensitive border region; to be honest it is not yet ready to be opened up to adventure-seeking (foreign) tourism. Until recently the roads were so bad or non-existent that few were hardy enough to try their luck bur recent infrastructural improvements are rapidly changing that. I met and discussed at length with the authorities in each of Muong Te, A Pa Chai and Muong Nhe (when they pulled me out of bed at 11pm); they made it clear that the black route on Tom’s map is not open to foreign visitors unless official permits have been issued in advance. The officials were cordial and friendly but the message was clear. 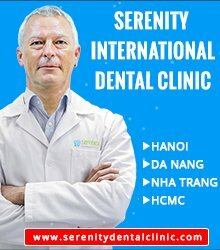 Official permits cannot be issued in the places listed above, they must be applied for either in Hanoi (at Hanoi City Police) or at Công an Tỉnh (provincial police HQ) in the provincial capital of Dien Bien Phu. Without this paperwork the authorities will turn you back. Local Vietnamese meanwhile are allowed to register at the “Don Bien Phong” border authorities near to A Pa Chai. 2) Forget about Google Maps pretty much entirely in this region, most of the information is missing and what is listed is often completely wrong/misleading. Some roads have been flooded with the construction of dams, others have been abandoned and new roads are often completely absent. Google secures its maps from the Vietnamese authorities and this data appears to have been witheld; however with the volume of traffic moving around in the area it’s also quite surprising that Google’s data has not updated accordingly. Turn off Google Maps, follow signs and rely on local knowledge. 3) This is an extremely poor area and sparsely populated. There is little in the way of services so make sure you have spare parts and tools with you if you’re travelling by motorbike. Tom’s map has marked the towns with accommodation which as you head further west are namely (in an anti-clockwise fashion) Muong Te, Pac Ma and Muong Khe, although to be honest I’m not sure how the authorities would feel about foreign guests registering to stay in Pac Ma. 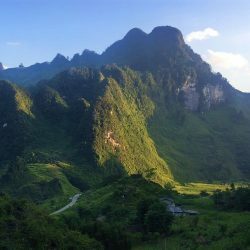 Ha Giang region used to have very strict controls on access to the region by foreign guests and this has slowly eased over time. The situation will change in Muong Te too but not for a while. Having said that some of you will have made the decision to go into this region already and whatever you read will not change your mind so I will at least update you with the information I can share. The 2 northern roads out to Muong Te (from Pa Tan and from Muong Lay) are in decent enough condition. Sealed for the large part, and about 110km each (allow around 3 hours by motorbike), both are stunning drives. 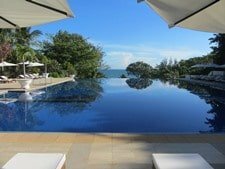 In Muong Te I recommend ignoring the large hotel, which has an uncountable number of pairs of high heels kicking around but not much in the way of a receptionist, and head down to Nha nghi Hoang Anh just round the corner. It’s in the golden square of guest house – dinner – breakfast – petrol station, all just a stone’s throw from each other. Really nice clean and comfy rooms out the back, good food next door for dinner; petrol station opposite and banh my pate or bun dau mam tom for breakfast next to that. The road onwards (along the “black route”) to Pac Ma is about 55km. The road surface itself is not bad but the area is prone to serious landslides; it’s a pretty safe bet that this road is unpassable for much of the rainy season. Even in late October we drove through the remnants of at least 10 significant slides. You can fill up with gas (if needed) at Pac Ma and the road onwards is signposted (at Pac Ma Bridge) 82km to Muong Nhe (along Highway 4H). There are border patrol buildings along this road and if spotted you will be turned back without question. I think the only reason we got through was that we passed through in driving rain when only a fool would have voluntarily been outside. 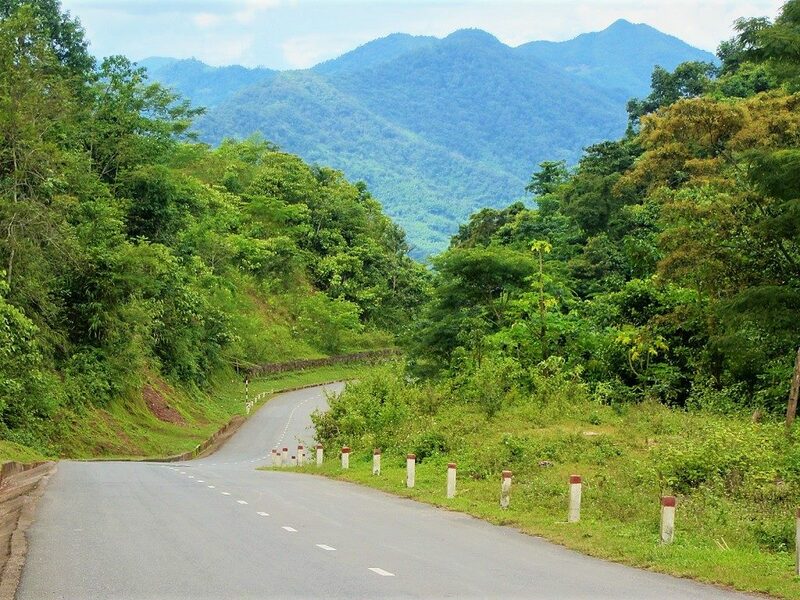 Once the road meets the A Pa Chai – Muong Nhe road you will have travelled about 60km from Pac Ma. 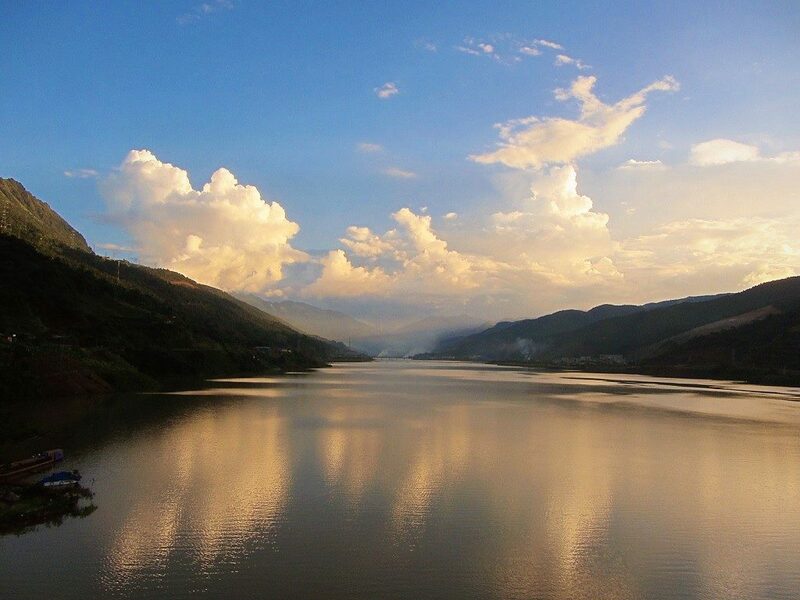 Head west for the border or east for Muong Nhe. For myself the border authorities stopped us 3km short of A Pa Chai. In driving rain at 1800m altitude and with a spluttering bike their instruction to ‘go back the way you came’ sounded quite welcome. As stated above the authorities were friendly and cordial, but clear and to the point. Without a permit you cannot proceed any closer to the border and shouldn’t even have got that close anyway. It’s almost 40km from here back to Muong Nhe, a town larger than Muong Te with several options for places to stay or eat. Whilst you will be allowed to stay here expect that the local police will visit you at some stage to inform you that you may not advance any further into the frontier zone in the direction of A Pa Chai. From Muong Nhe the road surface is smooth and fast to Cho Cha Cang. It likely continues in similar fashion down to Muong Cha if you take the southern route but if you head to Muong Lay the road gets narrower and a little slower, although quite ok. Expect about 4 hours from Muong Nhe over to Muong Lay. Thanks for taking the time to share your experience of this route. I agree: I think if you get stopped at all then, without the necessary permits, you’ll certainly be turned around. My experience with the authorities in the region was also cordial and polite but firm. I didn’t have any problem until north of Muong Te and north or Muong Nhe. Staying in Muong Te was fine and there were lots of decent enough guest houses for a night. But in Muong Nhe, as you say, you’re much more likely to get a visit from local officials if you stay over night there. The road from Cho Cha Cang down to Muong Cha actually deteriorates because it’s undergoing renovations, but I imagine that’ll be finished soon. I mention the Google Maps issue above, but I didn’t find it too difficult to improvise around this, but perhaps that’s because in Vietnam you get used to roads being diverted due to flooded river valleys and landslides etc. By cross-referencing the map above with the information in this guide and the comments here and some local advice you can avoid getting lost. What a great website! Such an invaluable resource. Very well written, too. Thank you sir! 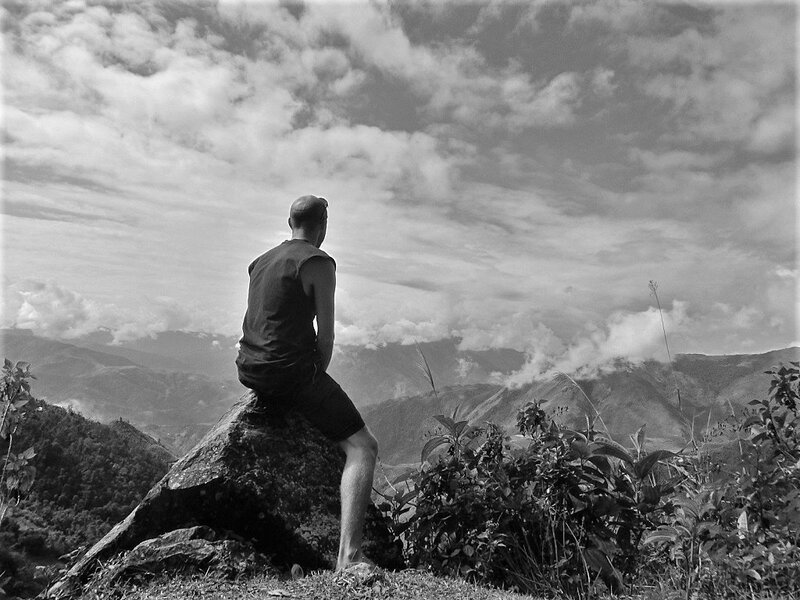 Supposing…you were going to cross over from Laos to Dien Bien Phu in about February 2019, or thereabouts. Suppose you had two or three weeks, or maybe even more. Suppose you wanted to rent a motorcycle and experience these magical areas for yourself for the first time. 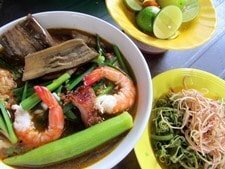 Suppose you had years of experience traveling in Southeast Asia (but for some stupid reason or other had not spent nearly enough time in Vietnam). Suppose as well you had a great deal of motorcycle riding experience in Asia, mainly Thailand, Laos, and Myanmar. What would you do? Where would you go? What would you suggest to such a person, who just happens to be me? Maybe bus it to Sapa or Ha Giang or somewhere like that first, use it as a base? 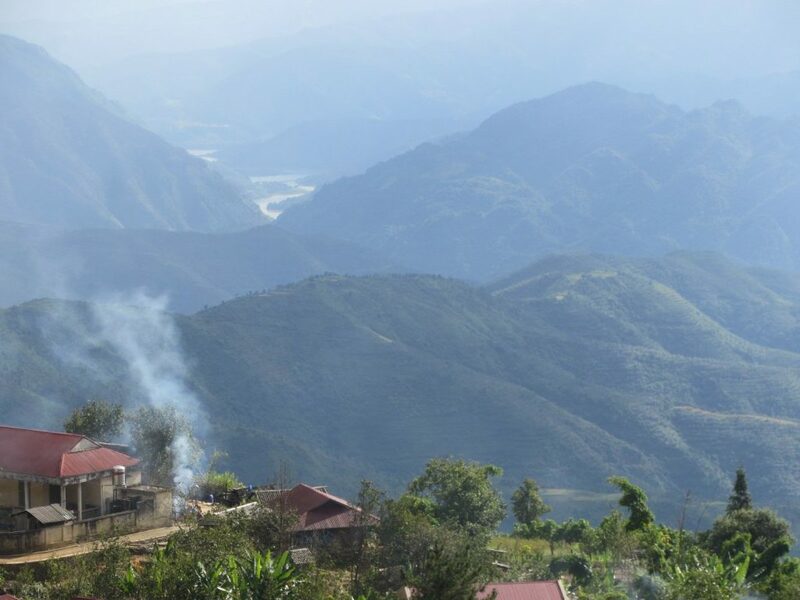 Yes, I would get up to Sapa or Ha Giang first – you can rent a bike in both places, but Ha Giang has better rental companies (check out QT Motorbikes). Alternatively, you could rent a bike from one of the reliable rental companies that I mention here and get them to ship your bike from Hanoi to Sapa (most probably Lao Cai train station). 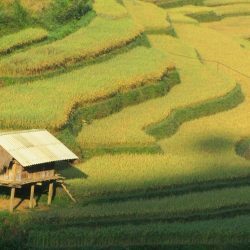 Either Sapa or Ha Giang is a good base from which to explore most of the northern routes suggested on my site – take a look at my Northern Routes Archive and you’ll begin to see how you could stitch a few of the routes together.